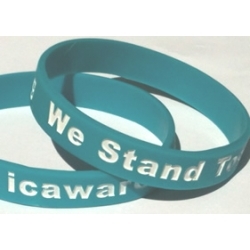 Home/Awareness, Interstitial Cystitis Network Blog/Kicking Off IC Awareness Month 2015! How You Can Be Involved! Kicking Off IC Awareness Month 2015! How You Can Be Involved! The most exciting time of the year for the IC community, IC Awareness Month, begins today, September 1st, as patients around the world unite to educate others about IC. We invite you to participate! Here’s how you can help! It’s about time that we publicly recognize those few doctors who really do treat IC patients with compassion and kindness! Each nominated clinician will receive a lovely certificate. We will select one doctor to receive “Doctor of the Year” award and one physical therapist to receive “Physical Therapist of the Year” award. These will be based on the most nominations received! Learn more or make your nomination here! Help us educate others about IC and pelvic pain. We hope that you’ll share it through your social networking channels, especially Facebook, Twitter, Pinterest, Instagram & Linked in! . Our facts have been updated for 2015! Start today by sharing the first daily fact! See all daily facts here! Ask your local newspaper to do a story on IC and IC Awareness Month. We’ve prepared a simple, two page press release (featuring Dr. Ken Peters) you can send to them, ideally with a paragraph about your own personal story. Newspapers love to discuss how lives have been changed, for better or for worse. You can use your own name or ask them to use a pseudonym. Download the official press release and media fact sheet here! 5. POSTER CONTEST NOW OPEN – WINNERS WILL RECEIVE A KINDLE FIRE! Bring out your inner artist and create a poster for IC Awareness Month sharing your own interpretation of life with IC. Have you children make their own poster with your choice of medium: digital, watercolor, crayon, markers! Your choice! All posters will be added to our website and the winner will receive a Kindle Fire Pad! Learn more and see poster samples here! 6. MEME CONTEST NOW OPEN – WINNERS WILL RECEIVE A KINDLE FIRE! Funny, irreverent, witty, bold and often ridiculous, meme’s make a statement. A funny or shocking meme can be shared thousands of times across the internet where they could inspire patients to actually google IC. Last year, Tali Keteri created a fabulous meme contest that broke records and we’re doing it again this year. Memes are easy to make! Just go to: http://www.someecards.com, pick your image and play! Use #icawarenessmonth and share your meme on Facebook, Twitter, Pinterest and anywhere else you frequent. Also e-mail it to memes@icawareness.org. The “official” IC Awareness online fundraising campaign is “Pennies For IC Research” run by IC patient Lisa Herman. She is asking members and friends of the IC community to place an empty jar somewhere in your home where it will be easily accessible. Place any spare change from your purse, wallet, etc. into the jar. Encourage your family members to also drop their spare change into the jar! Take your change to your bank, coin counting machine, etc. and see how much you (and your family) were able to raise for IC Awareness. All donations are sent directly to two IC research centers: Beaumont Hospital (Royal Oak, MI) and Boston Children’s Hospital C. Learn more about it and/or make a donation here! Political action is a necessity when the vast majority of research dollars come from national governments, like the US National Institutes of Health. We MUST advocate for additional research funding throughout the year. During IC Awareness Month, you can also request proclamations from local, state, provincial and national government representatives. By asking for a proclamation to be issued in honor of IC Awareness Month, you’re educating your public representative about IC and asking for their support. Patients have requested and received dozens of proclamations over the past few years and we’ve made it really easy. Simply download our sample proclamation and send it to the politician of your choice. Learn more here! 11. START A SUPPORT GROUP OR SUPPORT ONE NEAR YOU! Wear your pride with our official IC Awareness Month pins, silicon bracelets and, in next week, IC Awareness Month Car Magnets. Available in the ICN Shop! 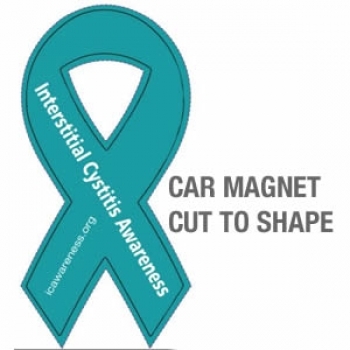 By Jill Osborne|2017-01-31T10:03:43-07:00September 1st, 2015|Awareness, Interstitial Cystitis Network Blog|Comments Off on Kicking Off IC Awareness Month 2015! How You Can Be Involved!